LPDA-A0066 is a directional log-periodic dipole array for monitoring applications from 5 to 30 MHz and a maximum gain of 5.5 dBi. LPDA-A0066 polarization is manually adjustable between vertical and horizontal without lowering the mast. 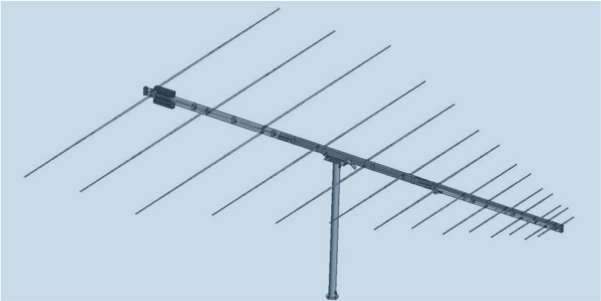 The antenna is supplied with a boom that separates into three sections and all the elements can be disassembled and placed in a roll-up canvas bag for compact storage. The antenna can be assembled and erected within 60 min by four people.